According to the luxury marque, it's a pivotal model - the first BEV, which will be produced in a limited run of 155 examples. It looks pretty cool and could become an alternative proposition for those who seek something more exotic than the Tesla Model S or Porsche Taycan, while at the same time electric. 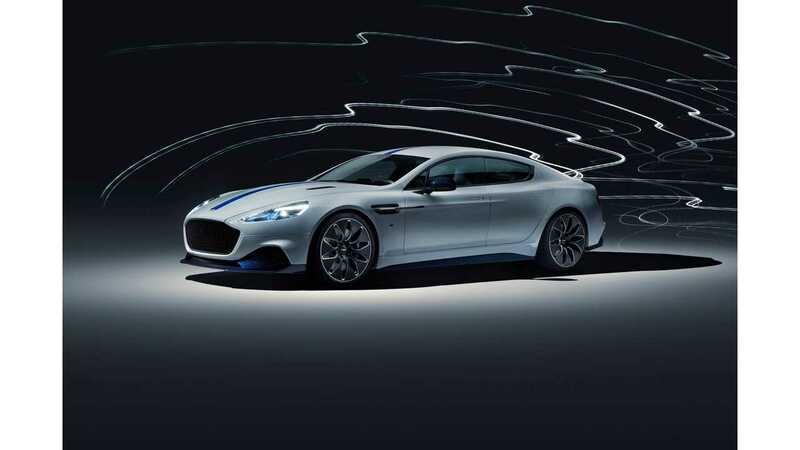 Compared to the standard Rapide with a 6.0-liter V12, the Rapide E was highly redesigned - for example, the new aerodynamic package brings 8% less drag. There are now no analog displays and the dedicated app allows key information from the car to be remotely monitored. In terms of specifications, there is no changes to the preliminary one from fall 2018. Aston Martin uses a 65 kWh battery system (800 V nominal), which should be good for over 200 miles (320 km) under the WLTP test cycle. We feel that the battery capacity should be higher, especially if customers would like to make use of the strong acceleration from 0-60 mph in less than 4 seconds. The 200 miles sounds like a minimum for such a type of car in 2019, and 250-300 miles would be more appropriate. Anyway, interestingly the packs will consist of 18650 format cylindrical cells. "Rapide E is powered by an 800V electrical architecture battery – encased in carbon fibre and Kevlar casing – with a 65kWh installed capacity using over 5600 lithium-ion 18650 format cylindrical cells. This bespoke battery pack lies where the original 6.0-litre V12, gearbox and fuel tank were located, with the 800V system allowing for more efficient charging and greatly improved thermal characteristics over existing electrical architectures. This battery system powers two rear mounted electric motors producing a combined target output of just over 610PS and a colossal 950Nm of torque." Aston Martin encourages that the battery will be able to withstand prolonged drive at high power, like a full lap of the Nürburgring without entering limited power mode. This is probably where Williams Advanced Engineering's experience in Formula E counts the most. "These figures are not restricted to a narrow window of battery charge or climatic conditions, instead, thanks to the cutting-edge 800V architecture, the Rapide E will deliver its performance in a consistent and repeatable way as would be expected from a traditional Aston Martin product. This includes the ability to drive a full lap of the Nürburgring with no performance derating of the battery or the motors."